Why Are We Killing Sharks? The Facts - We Love Sharks! Why Are We Killing Sharks? The Facts - We Love Sharks! Shark Caution Sign; But Are Humans The Real Danger? The reality is that humans are killing sharks much faster and in larger numbers than sharks are killing humans. It appears man has replaced sharks as the apex predator of the seas. If figures released from studies are accurate, then ocean lovers have a lot to worry about. For instance, this frequently quoted study by biologists at Wormlab states that humans are killing about 100 million sharks a year, and that the actual figure could be up to 273 million! Those figures are still hotly debated worldwide but considering the size of the oceans, who is to really say it’s true or an exaggeration? Whether true or not, why are we even killing them in the first place? You’ll find the answers to that question below. In this most barbaric of practices, people kill sharks for their fins, only their fins, usually tossing the mutilated animal back to the water to die a slow death. The death is more agonizing when you consider the fact that the shark becomes immobilized and most times will sink to the sea floor to suffocate and drown. This is because some species of sharks have to keep moving constantly to force water through their gills for oxygen. The few sharks that still struggle to live on will starve to death while being slowly eaten by other fish and predators, and may even take a few days before they finally die. Why Are Shark Fins Such A “Hot” Item? Sharks fins are considered among the most valuable seafood products with large so called ‘trophy’ fins (whale shark pectoral fins), selling for as much as $20,000 each. The fins are harvested mainly for making Shark Fin Soup. 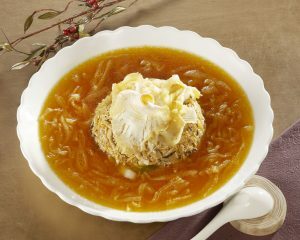 Shark fin soup is a delicacy that is popularly eaten in Asian countries and in some countries worldwide. Unfortunately, demand for shark fin soup is till high and has even sky rocketed in recent years mainly due to the increased prosperity of countries that regard shark fins as a delicacy. It’s not rare in such cultures to attend weddings where guests are served bowls of fin soup that easily cost over $100 per bowl. The aim is mainly to impress invitees with the new couple’s family wealth. Strangely, shark fin itself is actually tasteless and the soup must be flavored with chicken or other stock to be palatable. There’s no better way to say it; shark populations are being decimated annually. Roughly tens of millions of sharks are killed in the cruelest way imaginable every year to meet demand for shark fin soup. Even the fishermen themselves are expressing concerns as the sharks they catch are getting smaller since sharks reproduce slowly and take years to reach sexual maturity. Obviously, many consumers are just not aware of the suffering just one bowl of shark fin soup causes. The term culling literally means the selective removal or segregating of animals for specific reasons. In this context, culling refers to the practice of slaughtering sharks mainly with the intention to reduce the population in a particular vicinity. Usually the fish are shot at close range and the targeted species are the great white, tiger sharks and bull sharks. – Between 1959 and 1976, Hawaii culled 4,668 sharks. This number includes 554 tiger sharks. – New South Wales have used shark nets in a Shark Meshing Program along their beaches for over 60 years. Latest reports for the 2015-2016 season show that 133 targeted sharks have been caught and killed including 90 protected species. But, in the same time frame, at least 600 other marine animals were caught in the nets. About 50 percent of them had died before they could be released. – Queensland, Australia. Between 2013 and 2014, almost 700 sharks were killed including the endangered great whites and grey nurses. Additionally, about 100 dolphins, turtles and other sea animals died from being entangled in the nets. – Western Australia culled 68 sharks within a 13-week period in 2014, mostly tiger sharks though great whites were the main target. The aim of shark culling? You guessed it, to “protect” humans who are actually entering into the territory of the sharks, the ocean. Granted, a shark related fatality is devastating to the family and community of the deceased. But, there must be better non-lethal measures authorities can take to reduce shark-human conflicts. Shark meat is regularly eaten in many cultures and is considered a rare delicacy with medicinal properties. More recently, it began to feature on the menu in gourmet restaurants. Go online and type “shark steak” in Google and you’ll see pages of all kinds of recipes for shark steaks. – In countries like China and Japan, there is a cultural and medicinal attachment to consuming shark meat. – In Eastern Africa, Iceland and Greenland, shark meat is a staple food. 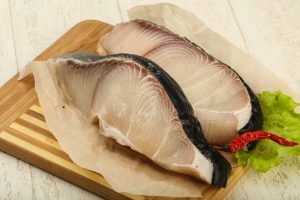 – People eat shark meat in France, Italy and the United States as a gourmet dish. There are many dangers of consuming shark meat. These are apex predators, they consume large quantities of toxic chemicals and heavy metals from the prey they eat and also through skin absorption. Some of the chemicals in shark meat include urea, arsenic, lead, and mercury etc. Eating larger, older sharks increases your chances of lead poisoning. In fact, there is a famous dish in Iceland called “Harkal.” Harkal means rotten/fermented shark and this meal is made from the flesh of the extremely toxic Greenland shark and has to be cured for months before people can eat it! Fishermen frequently catch sharks unintentionally while fishing for tuna, marlin and other types of open water fish. Longline fishing for example is targeted at tuna but the lines extend for miles at a time and will attract other sea animals to eat the bait. Bottom trawlers and gillnets also add to this problem. Fisheries are advised to return sharks back to the water quickly when they are caught in this manner. However, some fishermen are tempted and will use that chance to cut off the fins for some quick money. Shark killing tournaments are a contributing factor to the worrisome decline in shark population. Such tournaments offer lots of money to people who kill sharks. The bigger the shark, the better. Professional fishermen come together and compete to catch the biggest shark or the most number of sharks within a specified time. Thereafter, the captured sharks are hooked, hung, bled, suffocated and left to die in that position. These shark fishing or “monster fishing” contests started in the 1970s in Montauk, New York and winners go away with trophies and thousands of dollars in cash prizes. Winners claim that the real fun comes from not just hooking the shark but hauling it for hours. They use J-hooks hooks which can rip the animal’s tail, stomach, or throat apart as it struggles to free itself. Recently, the organizers of these tournaments have introduced measures to ensure the sharks are not killed but are released back to the waters after weighing. But the chances for survival are slim as the sharks will struggle vigorously to escape and many get injured in the process. The most commonly caught sharks are Mako, Thresher, and Porbeagle. Many of us wrongly assume that just because we don’t eat shark fin soup we aren’t contributing to the perilous situation of sharks today. We think it’s a particular culture that is causing the problem. But that’s not the complete picture. Do you know that sharks are killed and used for the following products? – Certain energy drinks, pet vitamins and supplements, shark liver oil, shark cartilage powder. – Real shark teeth, jaws, skin. – Shark leather (shagreen) for wallets, purses, furniture, etc. – Cosmetics, lipstick, face cream. 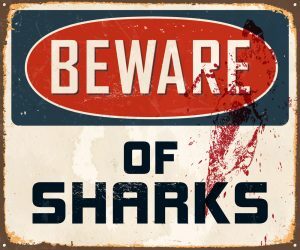 Many manufacturers will not include “shark” in the list of materials used to make these products and may use other names to deceive buyers, so clarify if you have any doubts. In an effort to reverse or at least stall the steady disappearance of sharks species from the seas and oceans, most countries now regulate shark killing around their coastal waters. But there will be better results if these restrictions can extend to international waters and trade of the most threatened species. If we continue killing sharks at the rate we are going, it’s just a matter of time before more shark species join the dinosaurs and become history. Sharks will become just another creature we will describe to our children’s children with the aid of pictures only. What do you think about the practice of killing sharks? And what will happen to the oceans if sharks, the usurped apex predators of the sea become extinct?